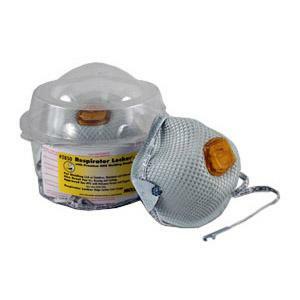 The Moldex N95 Respirator Locker provides hygienic storage for dust masks. It’s a personal dispensor for workers required to travel to remote locations. Fits easily in employee lockers or work vehicles. 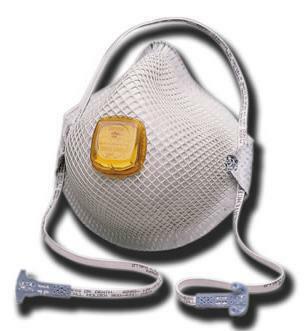 Separate compartment permits storage of a used dust mask during breaks, prevents premature disposal of N95 dust masks. Dura-Mesh® shell resists collapsing. Softspun® lining gives added comfort and durability. Contour molded nose bridge seals easily without a metal nose band. NIOSH certified to have a filter efficiency level of 95% or greater against particulate aerosols free of oil.